We have, what, two weeks before The Last Jedi hits theaters? That’s plenty of time to read the plethora of bonus material in the Star Wars franchise’s expanded canon. As with The Force Awakens, the Star Wars people have done a “Journey To…” project with extra material to give you more insight into the coming film. None of this is essential; all of it is canon; much of it will, at least, enhance your viewing experience in two weeks. Here’s a suggested reading order. Leia: Princess of Alderaan by now three-time writer Claudia Grey is really a story about Leia’s early years in the Rebellion and how she evolved from junior royalty to the heroine of the original trilogy. The critical components of this novel is that it introduces the world Crait–the salt planet which appears in the TLJ trailers–as an early rebel base. The novel also introduces Laura Dern’s TLJ character Amilyn Holdo as a friend and Rebel cohort of the young Leia. The young Holdo is a bit of a Star Wars Luna Lovegood weirdo, and some of those traits may carry over to her adult character. 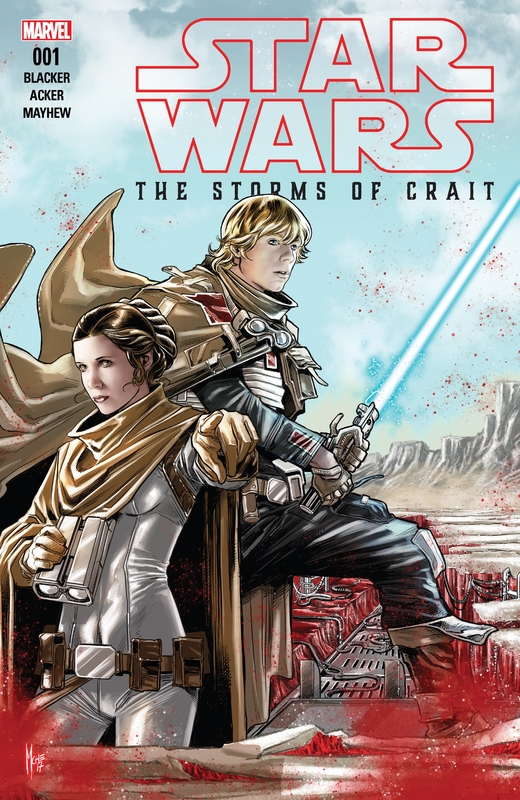 Marvel Comics is also releasing the one-shot comic Storms of Crait by Ben Acker and Ben Blacker on Decmeber 27, which is unfortunately after the movie’s release. If you don’t get to seeing TLJ until after Christmas, you might consider grabbing this first, as it will give a bonus look at Crait during the Episode IV-V period. 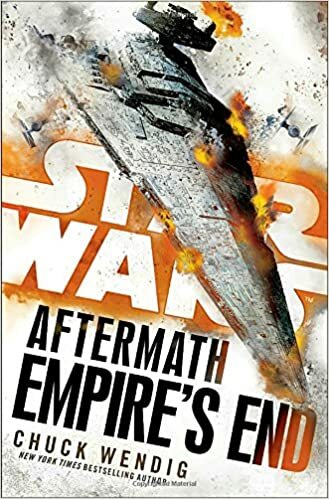 The Aftermath trilogy by Chuck Wendig really started as a Force Awakens project, and mostly gave readers a look at the fall of the Empire in the weeks following Return of the Jedi and an introduction to Resistance pilot “Snap” Wexley. However, the final book, Empire’s End, gave open-ended hints about exactly what drove the creation of the First Order and why Jakku might have been important. It also showed the birth of Ben “Kylo Ren” Solo, and it’ll be interesting to reread his birth in light of what we learn in The Last Jedi. 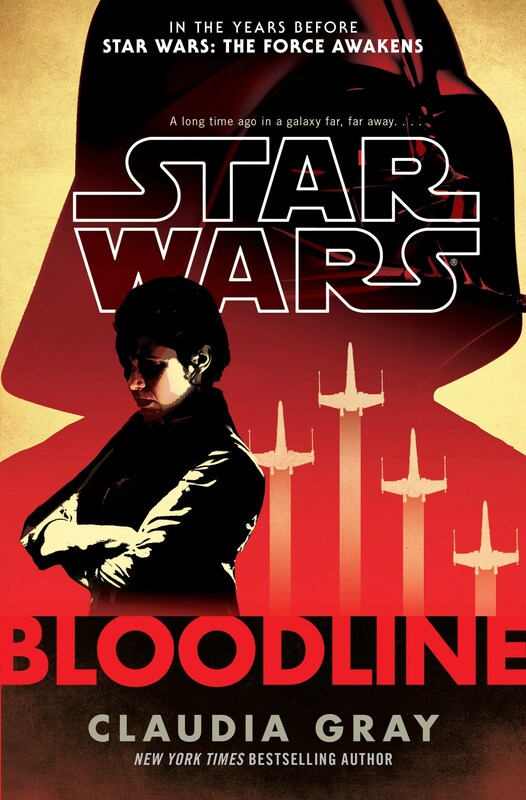 Bloodline, again by Grey, takes a look at the largely unrevealed period between Return of the Jedi and The Force Awakens, specifically six years before TFA. Han is still alive, Ben hasn’t gone Snoke yet, and Leia is considering running for the equivalent of the presidency of the New Republic. However, dark forces are conspiring against Leia, and the First Order’s shadow is lurking on the horizon. Although not specifically a “Journey to The Last Jedi” project, Grey had to work around elements of the upcoming movie to avoid spoiling too much. Expect connections to be made with this book, as it does raise questions as to what led to Ben’s darkening. 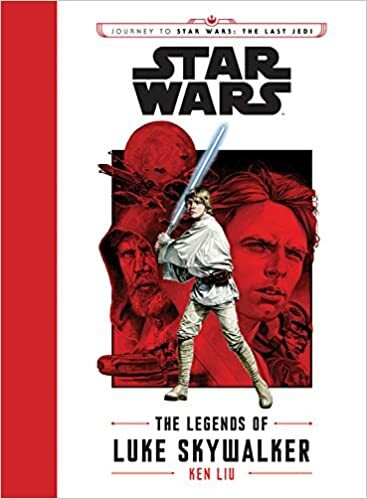 The Legends of Luke Skywalker by Ken Liu serves as a “Canterbury Tales” for the Star Wars universe by telling a story about several travelers on their way to the world of Canto Bight, the casino planet in The Last Jedi. They’re swapping stories about what happened to Luke after Return of the Jedi, some of which may be true, and some not. The specific connections to TLJ aren’t clear and this is mostly a silly fun book, but maybe the film connections will surprise us. 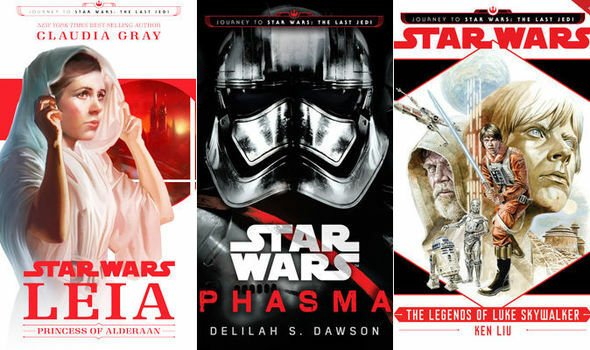 Star Wars: Phasma by Deliah S. Dawson is one of the larger entries in the “Journey….” project and gives substantial backstory to the woefully underdeveloped character played by Gwendoline Christie. If you thought her awful in The Force Awakens, all is explained in this novel, as well as more on the First Order’s Brendol Hux. The novel also introduces Resistance pilot Vi Moradi and First Order trainer “Cardinal,” both of whom might appear in TLJ. There’s also speculation that a young Rey is hiding in plain sight in this story, but that would be way too obvious in this book. Star Wars: Captain Phasma is not a typo, but a comic series from Kelly Thompson and Marco Checchetto which was recently rereleased in trade form. This short story tells you what Phasma was doing immediately after The Force Awakens and, for good measure, introduces one of the BB-9 units we’ll see in TLJ. The content of this story bounces nicely off of Dawson’s novel, so read the novel before the comic. Due out next week is the novel Canto Bight which includes several short stories about gamblers at TLJ‘s casino, including one by veteran Star Wars author John Jackson Miller. Whether any of these characters will be relevant is anyone’s guess. 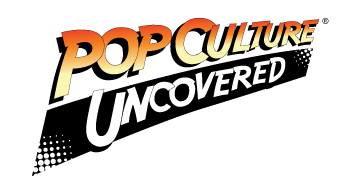 Two years ago, a number of short stories collected in the Aliens book gave looks at various background characters in The Force Awakens, none of which were particularly relevant to the movie except maybe the one about Unkar Plutt. Hopefully, this does better than that. Finally, there’s the shorter novel Cobalt Squadron by Elizabeth Wein, which will give a look at several Resistance heroes including Kelly Marie Tran’s Rose. Unfortunately, this book will be released the day after the movie’s release. This happened with The Last Jedi, where the very critical novel Before the Awakening released right after the film, despite showing what Finn, Rey, and Poe were doing beforehand. Again, if you’re seeing the movie late, this might be the book to grab before the movie. There are several other “Journey to The Last Jedi” products out there, including very junior novels, some wooden modeling kits, and the Last Jedi Visual Dictionary which is also releasing after the film. The Visual Dictionary might be the most important of these, as they’re always full of fun little nuggets of information you wouldn’t know from the films. But the novels above should be enough to fill your head with Star Wars goodness before December 14. Is there a list like this for Force Awakens? I enjoy reading the “backstory” books.